URBED have been appointed by a promoter and developer team comprised of U+I and TOWN to produce a mixed use masterplan for a large strategic brownfield site in north Cambridge. 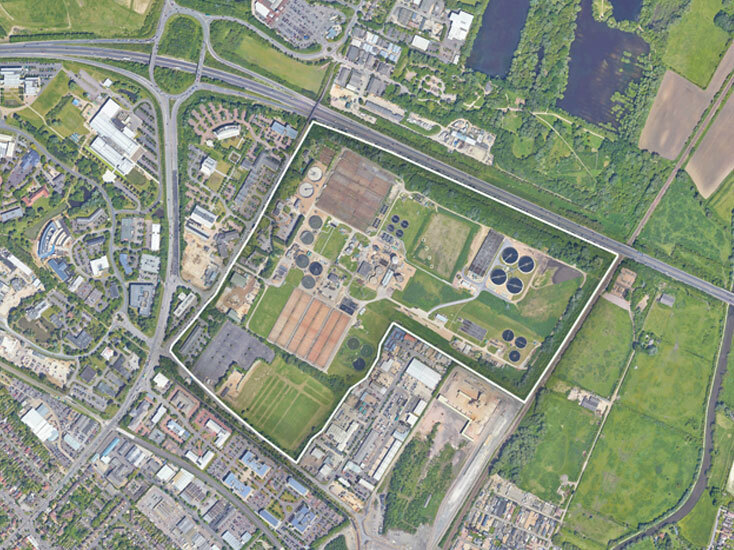 The Cambridge Northern Fringe East (CNFE) site currently comprises a 120 acre water recycling centre owned by Anglian Water and a golf driving range owned by Cambridge City Council. Located within easy walking and cycling distance of Cambridge North train station it is an ideal site upon which to deliver a major residential-led mixed-use urban quarter. Once developed the site should deliver at least 5200 homes, one million sq. ft. of office space along with a mix of retail, community and leisure space. URBED produced the design work for the winning submission at bid stage and have prepared materials in support of an application to the Housing Infrastructure Fund. We are now working with the wider team to prepare a masterplan and design code with which to secure planning permission, plan the delivery of enabling infrastructure and prepare developer-ready land parcels that can be sold to third parties.